We're finally covering the wines of the Marche wine region located in central Italy. The Marche region borders the Adriatic Sea with Tuscany and Umbria to the west, Abruzzo to the south and Emilia-Romagna to the north. The climate is Mediterranean with hot summers and cool winters. The Marche region is mainly hilly and mountaineous with rivers and gulleys flow through the plains. Because of this climate and the majority of vineyards located on hills with a great sunlight exposure they are ideal conditions for growing great wines. Cantine Fontezoppa is named after an ancient spring that flowed where the winery stands today. The winery's vineyards lie in both the Serrapatrona and Civitanova areas in the Marche wine region. The particular wine today is made of the verdicchio grape, which is primarily found in the Marche region. 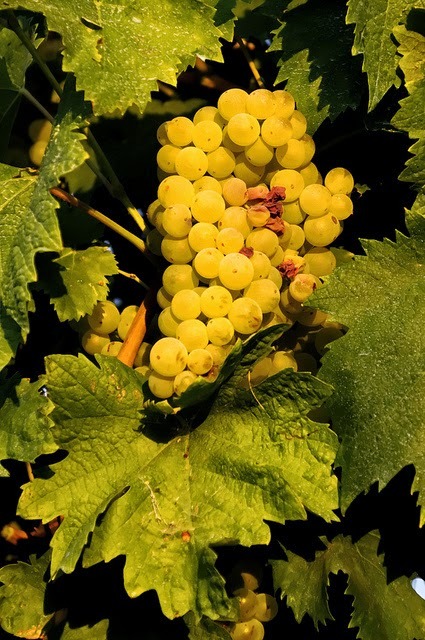 The name verdicchio comes from the word verde, meaning green, which relates to the color of these grapes that have a tinge of green in them. 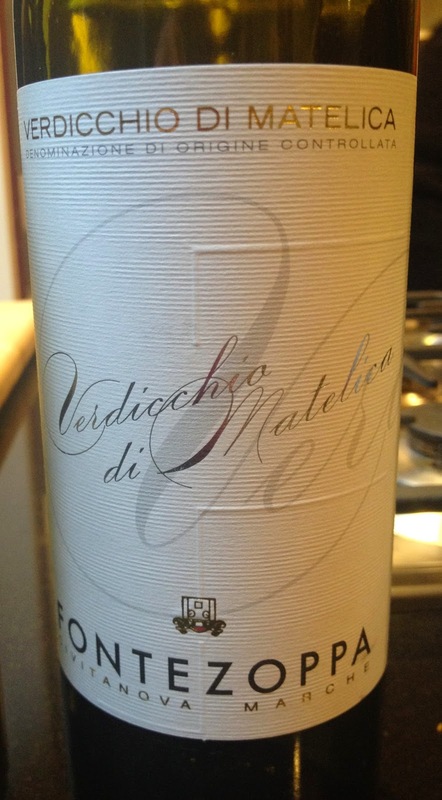 The wine today is a DOC (Denominazione di Origine Controllata) wine designation, but within the Marche wine region there is a DOCG (Denominazione di Origine Controllata Garantita) from Verdicchio di Matelica. The biggest difference between these two designations is that the DOCG is a Riserva. This DOCG came about in 2009. For the DOC wines they require at least 85% of the verdicchio grape and are allowed to also blend trebbiano and malvasia grapes. The wine I'm featuring today is the 2013 Fontezoppa Verdicchio di Matelica DOC made from 100% verdicchio. Aged in stainless steel it's straw yellow in color this wine has aromas of white peaches, almonds with strong minerality of wet stone. On the palate again is the presence of lots of minerality and peach. It's a smooth medium bodied with with persistent acidity. It retails at about $12. Get out there and try a different white wine and experience the Marche wine region for yourself.